The trend of 4 GB internal storage has dominated for far too long in the sub 15,000 INR segment and it’s a good thing that its changing for good. The nand flash storage ion the CPU is faster to read and write on as compared to MicroSD secondary storage and if you have enough of it, you can keep most of your apps on the internal memory itself for better performance. Here we look at the best options available for the consumers with 16 GB internal memory and also priced below Rs 16,000. 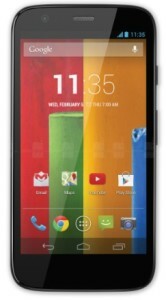 Motorola came out with its mid-range handset to reinstate its presence in the smartphone market. Moto g (quick review) looks pretty good when it comes to the spec sheet. The phone sports a Qualcomm MSM8226 Snapdragon 400 chipset with a quad core processor under its hood. Moto G hits respectable scores when it comes to bench marking. Indeed the scores are impressive considering other phones in the same segment. The phone has a 5 MP clicker with face detection, HDR and geo tagging which are normal in this segment. The2070 mAh battery gives a good talk time considering the phone has a 4.5 inch screen. Now the impressive feature that puts Moto G on top of other phones is the OS. It comes loaded with the latest android 4.4 kitkat to satisfy one’s appetite. The 16 GB model is available for Rs.13,999 on flipkart. The aqua i7 (quick review) offers the highest configuration in this price band. It is powered by a 1.5 Ghz quad core processor backed by 2 GB RAM. The 5 inch full HD IPS display looks good and offers great viewing angles even in broad daylight. The screen has a resolution of 1080 by 1920 with 441 ppi pixel density which lends a vibrant and rich texture to the menu icons. Aqua i7 sports a 13MP camera which captures high quality images and videos. The battery is a 2000 mAh Li-ion powerhouse and delivers up to 8 hours of talk time. Aqua i7 runs on android 4.2 which is a common place in this segment. You can buy this phone for Rs. 14,499 at snapdeal. Xolo q1000s (quick review) is a slim and stylish phone in this segment. Under the hood Xolo q1000s hides a 1.5 Ghz processor backed by a 1 GB RAM. The phone features a stunning 5 inch HD IPS OGS display with a 1280 by 720 resolution. OGS (one glass solution) is responsible for the 6.98 mm thickness of the phone which makes it the slimmest in the segment. 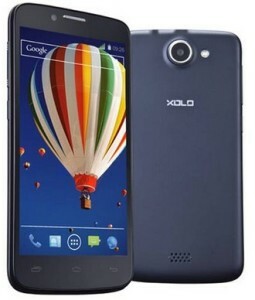 Xolo q1000s comes with a 13 MP shooter with BSI 2 sensor which captures good quality images in low light. The front 5 MP camera is apt for video calling on 3G network. The phone has a 2500 mAh fuel cell which delivers 12.5 hours of talk time on 3G network. You can buy the phone for Rs. 13,398 at flipkart. Micromax Canvas 4 A210 (quick review) is opens another chapter in the canvas series. The phone was launched in July, 2013 and it has gained good recognition for quite some time now. 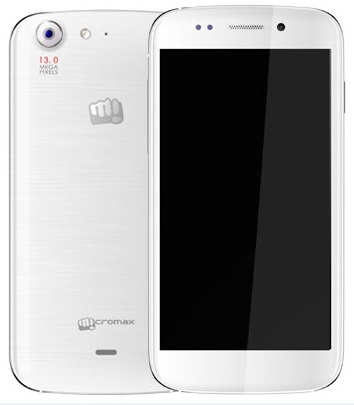 Micromax canvas 4 A210 sports a 5 inch IPS LCD display with a 294 ppi. 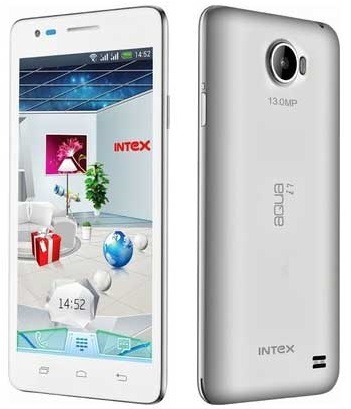 The phone is powered by a 1.2 Ghz quad core processor which is backed by 1 GB RAM and a PowerVR SGX544 GPU. The 15 MP camera with dual LED flash is capable of recording full HD videos and the front 5 MP shooter is capable of HD video chatting. Battery is a 2000 mAh Li-Po which delivers up to 8 hours of talk time. You can avail this beauty for Rs. 13,999 at flipkart. Karbonn has recently launched the Titanium Octane (quick review), an octa core device from its arsenal. The phone has a 5 inch IPS LCD screen with a resolution of 1280 by 720. An octa core processor provides the ammunition for the phone to perform multi-tasking with ease. 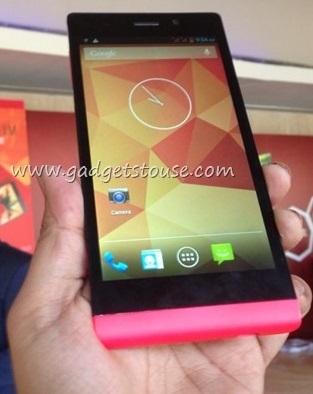 The phone packs a 1.7 Ghz octa core processor backed by 1 GB RAM.